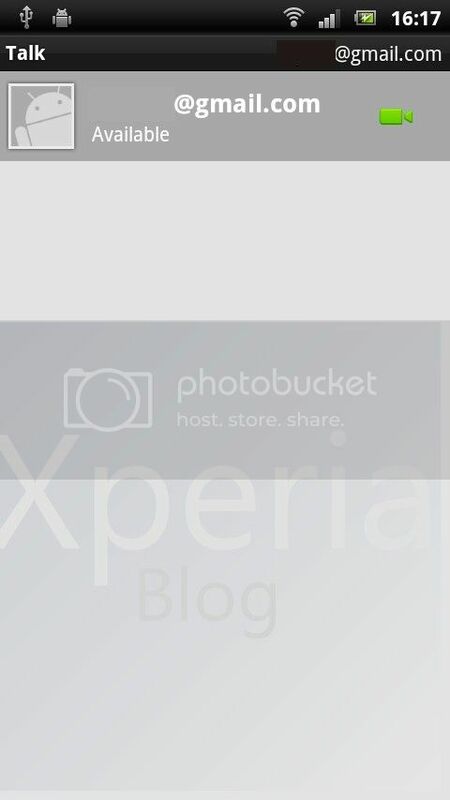 Now that we’ve had some time to fully explore what the latest Android 2.3.4 firmware (4.0.1.A.0.283) brings to the 2011 range of Xperia handsets, we wanted to relay our findings to our readers. What you’ll find below is every new feature that the latest update brings to the table. It’s quite a meaty upgrade all in all and certainly leaves us with respect for the Sony Ericsson developers who are continuing to upgrade our devices with useful additions. Sony Ericsson is delivering on its promise of speedy updates, after learning some harsh lessons from its first Android adventure with the Xperia X10. If Sony Ericsson continues to deliver, we see no reason why the company’s market share should steadily climb, especially with some positive word-of-mouth. Anyway click through below for all of the new features you’ll find on Android 2.3.4. This is probably the main feature when moving from stock Android 2.3.3 to Android 2.3.4. We cover this first as the rest of the inclusions are all Sony Ericsson rather than Google led. When clicking the ‘Talk’ app, you will now see a video camera (green if they are online) enabling you to conduct a video call with that person. 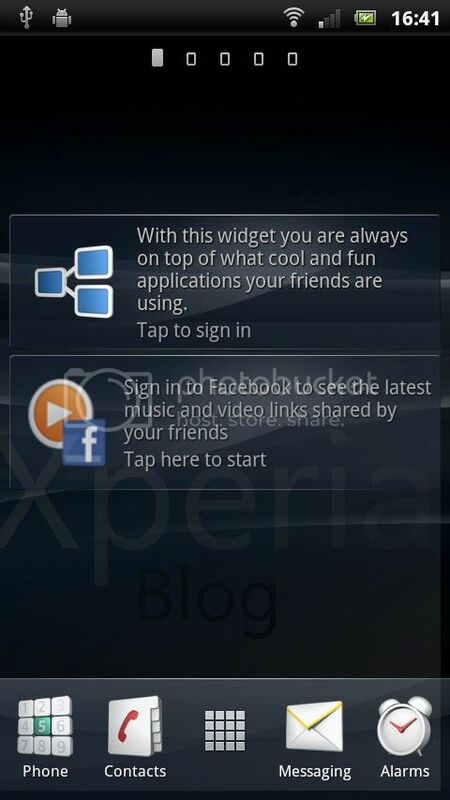 This is Sony Ericsson’s headline feature from the 4.0.1.A.0.283 firmware. Unfortunately it is not one that we could test fully as we don’t have a 3D television to see the results. 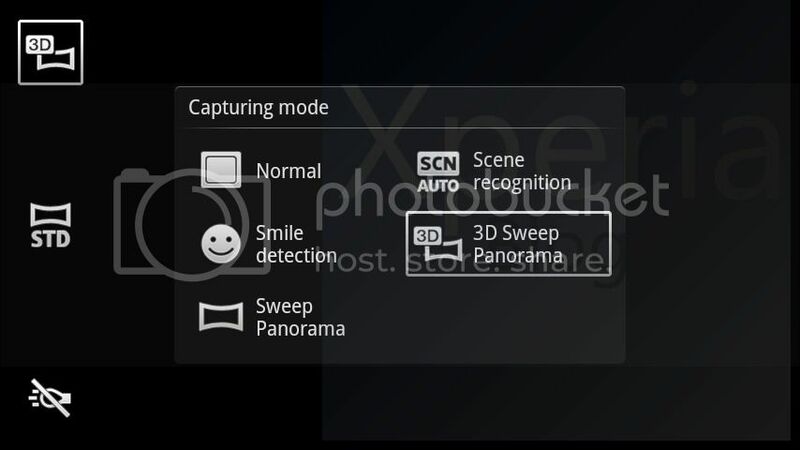 However, this update not only introduces the 3D Panorama sweep but also a normal Panorama sweep (as first seen with the Xperia X10). You choose a direction that you would like to shoot from (right/left/up/down) and then you pan the camera in that direction. It’s so simplistic that we’re surprised we haven’t seen this sooner. The results are great too with some very quick and easy panorama shots, no more stitching pictures together. 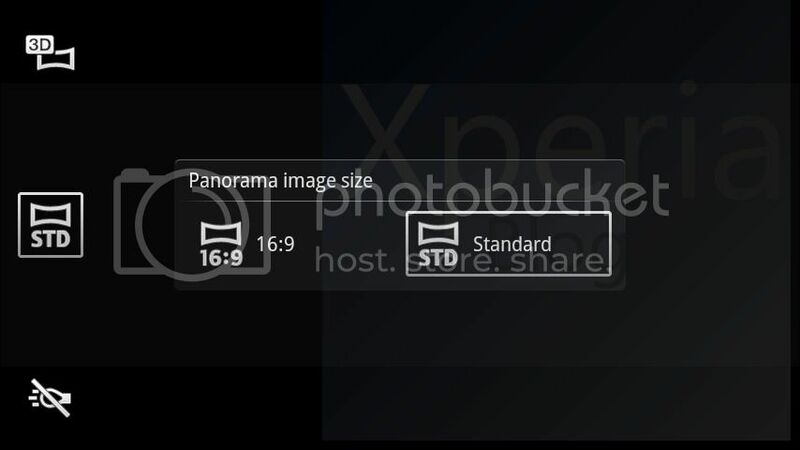 The 3D Panorama sweep works in the same way, although you can choose image size first (16:9 or standard size). You then pan the camera to create your 3D shot. 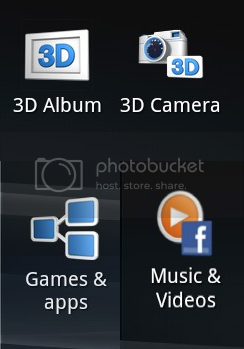 Sony Ericsson has also included a couple of 3D camera apps in the app tray. The ‘3D Album’ takes you to a dedicated part of the Gallery which holds all of your 3D camera pictures. 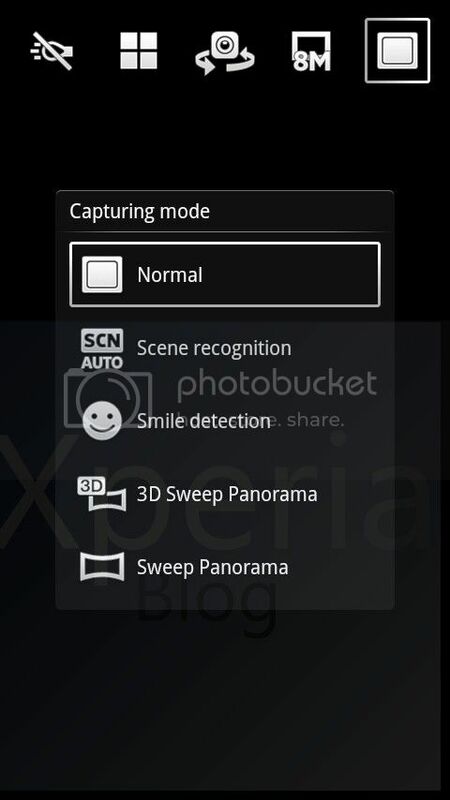 The ‘3D Camera’ takes you straight into the 3D Panorama sweep mode. 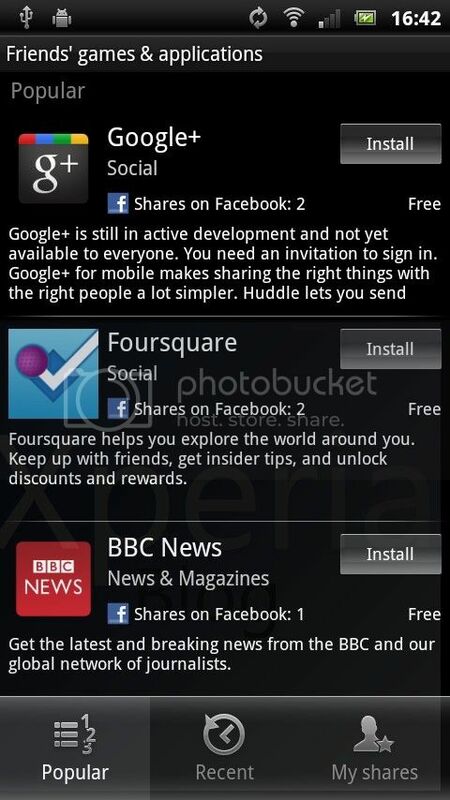 The other two apps below this relate to Facebook inside Xperia, taking us nicely into the next feature. 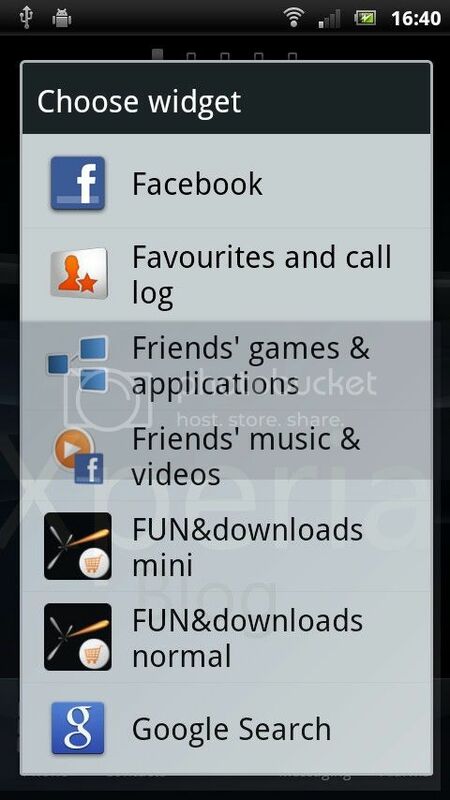 Sony Ericsson has updated their Facebook inside Xperia (FiX) function to allow the sharing of apps and games. 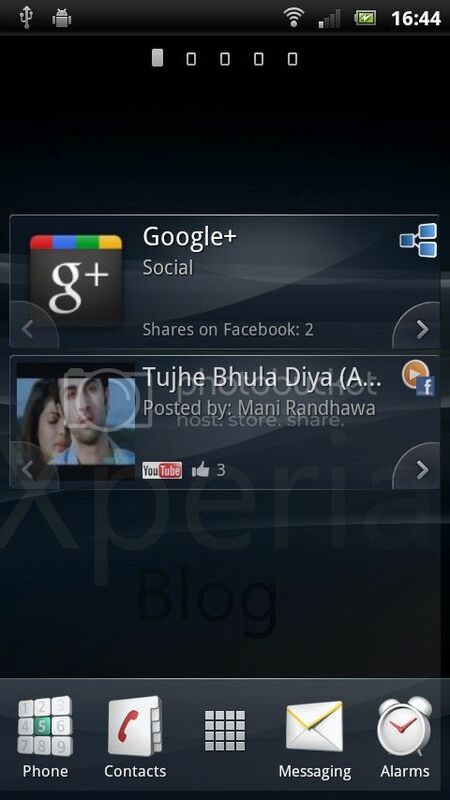 As you can see above, SE has introduced two new Facebook apps in the app tray – ‘Games & apps’ and ‘Music & videos’. 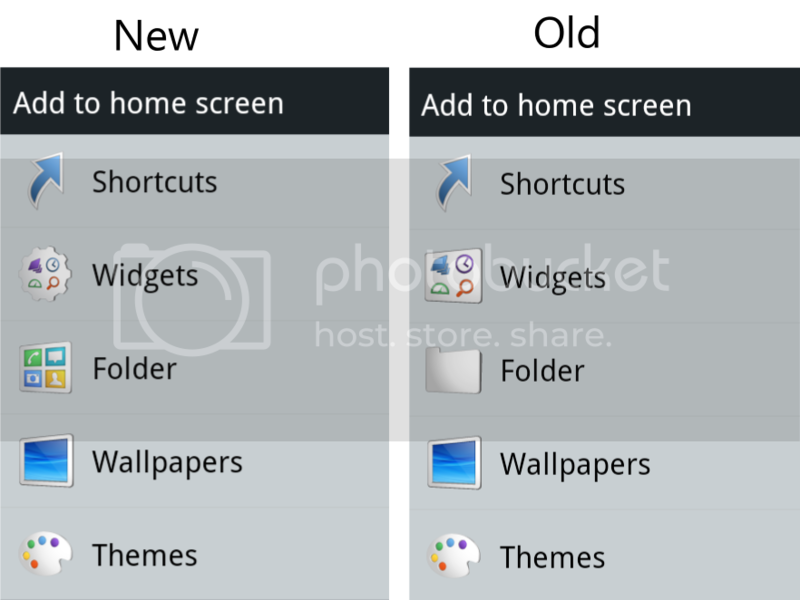 There are widget versions of both of these apps too. One is called ‘Friends games & applications’ and the other is called ‘Friends music & videos’. 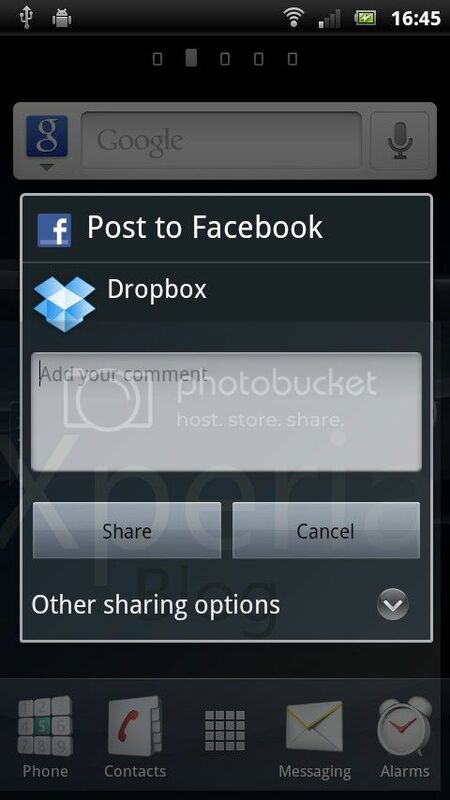 These apps show which games, apps, music and videos your friends and family are sharing on Facebook. If you want to share a game or app, you just hold down the app and you will see a ‘Share’ button open at the top of the screen. Once you drag the app over to this it will open a popup that allows you to share it with your friends/family with a brief message. 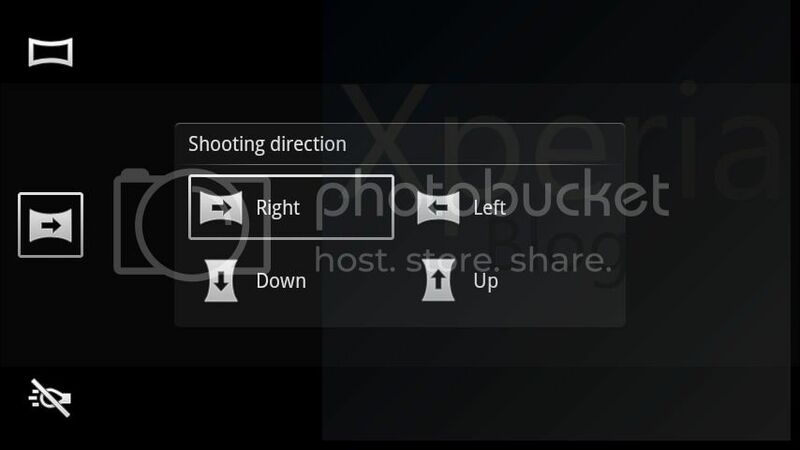 Sony Ericsson has also introduced a new setting in the menus that allows you to turn FiX on/off. 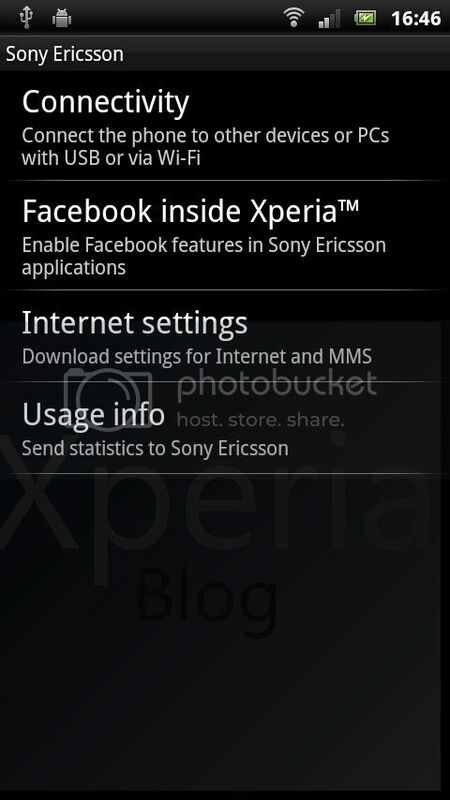 You can find it in Settings > Sony Ericsson > Facebook inside Xperia. 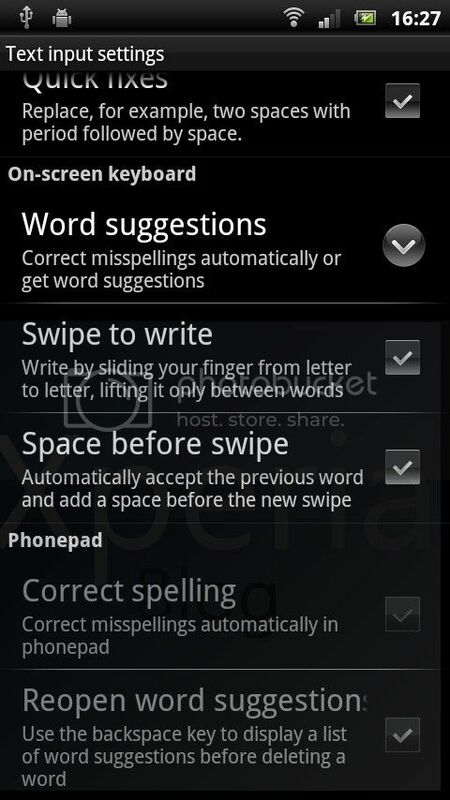 Another major improvement is the introduction of a swipe text input system, popularised by Swype. This involves tracing over the keyboard with the word you want to type, without letting go of the screen. We’ve been avid Swype users for years now and it’s our keyboard of choice, so it’s nice to see SE launch their own version called Swipe. This is enabled by default but you can turn it on/off in the settings (Settings > Language & Keyboard > International Keyboard > Text input settings). 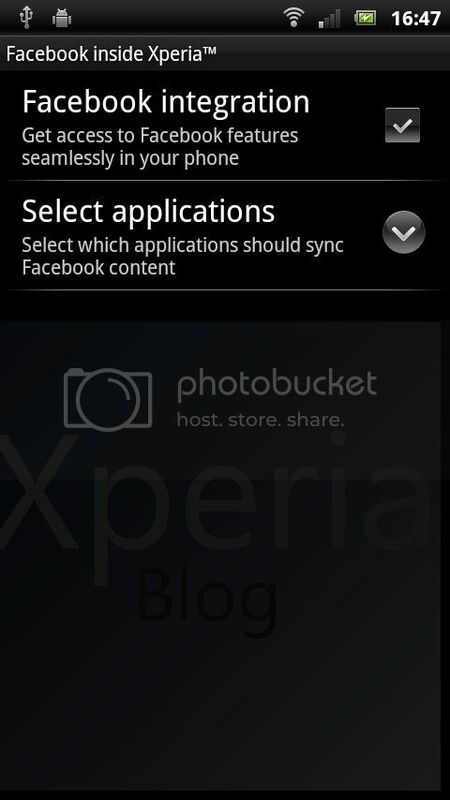 This is self explanatory, but kudos to Sony Ericsson for finally enabling a simple way of taking a screenshot on your phone. Holding down the power button, brings up the ‘Take screenshot’ option at the bottom. 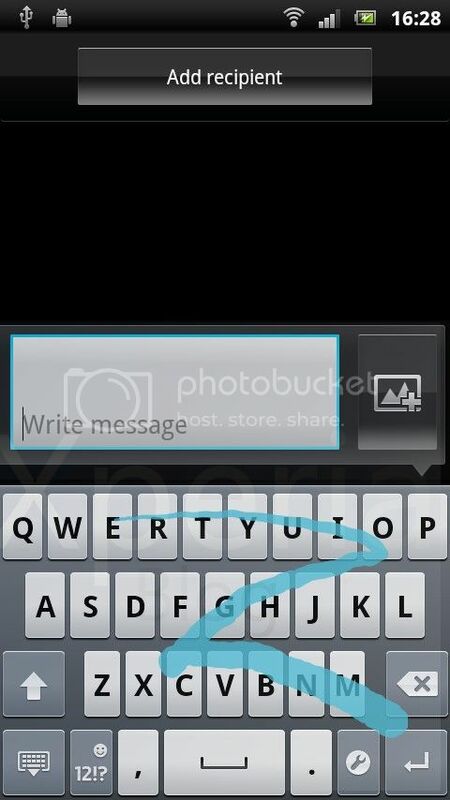 When taken you will find the screenshot in your picture gallery. Xperia X10 users will remember that Sony Ericsson had a Backup and Restore application that was removed in the Gingerbread update. 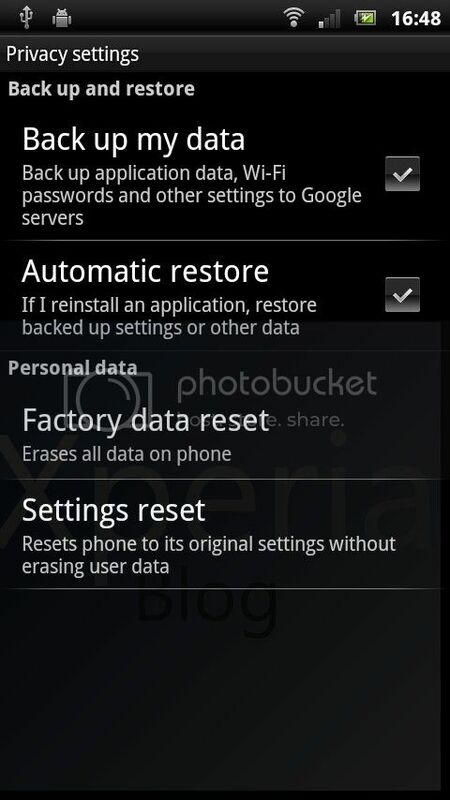 The 2011 series of Xperia devices have not had any backup solutions, until now. The new Back up functionality can be found in ‘Settings > Privacy’. When enabled this function allows you to backup application data, Wi-Fi passwords and other settings to the Google servers i.e. in the cloud. Besides this is an ‘Automatic restore’ facility that allows all app data to be automatically restored when reinstalled again. 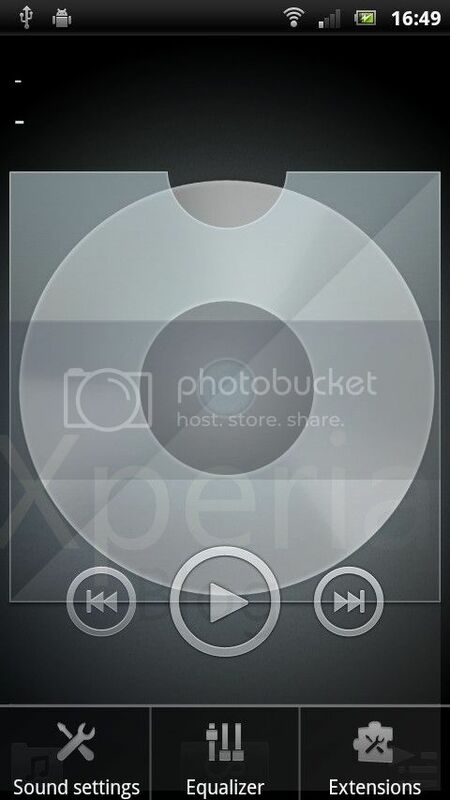 The music player now has something called ‘Extensions’ in its settings. 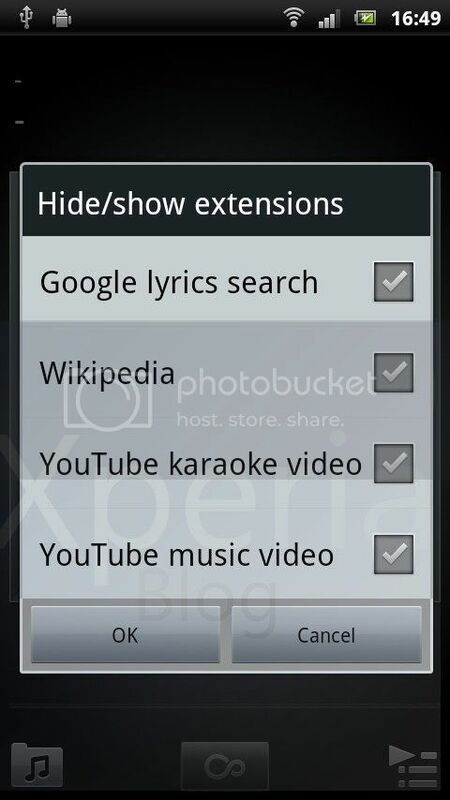 This enables you to show more information about your music using Google lyrics search, Wikipedia and YouTube. 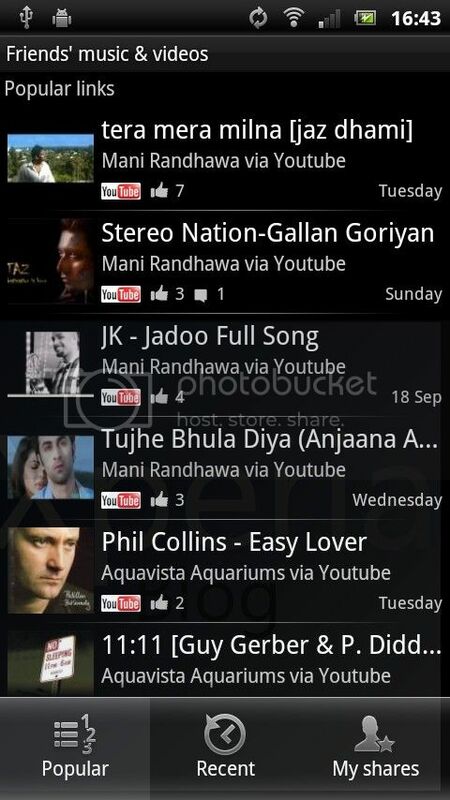 Another improvement is that your able to change the playlist order. 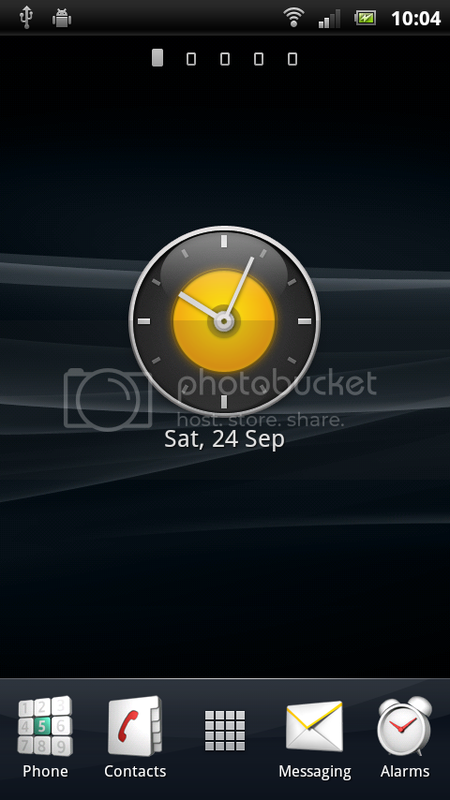 You now have an extra analogue clock widget for you to decide between. 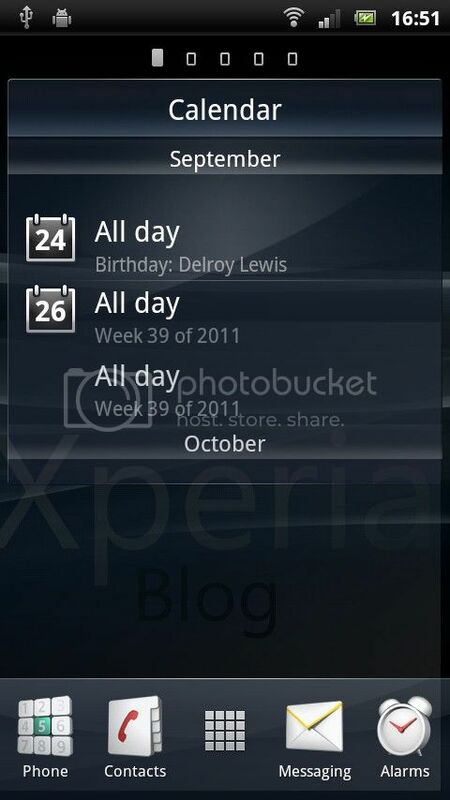 You also get a new calendar widget that highlights your upcoming events. This timer widget is very cool. It is a countdown timer (rather than stop clock) but has some fantastic animation. One of our favourites. 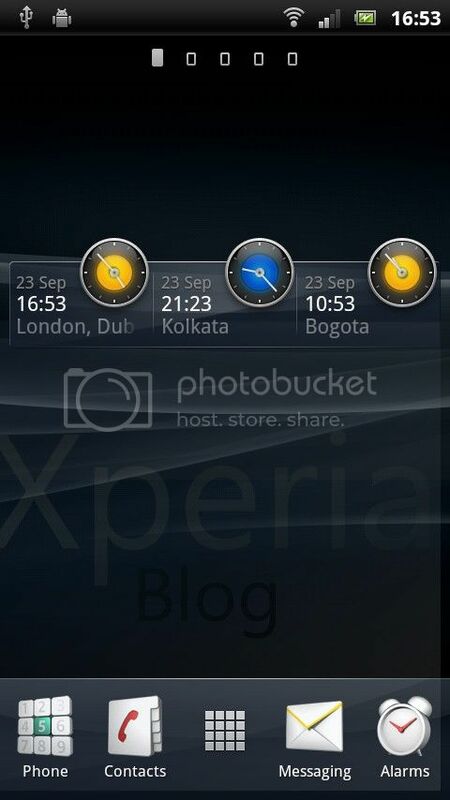 Sony Ericsson also introduced a nice new addition in terms of this world clock. You can set up to three world time zones. In a nice touch, the clock is yellow when it is daytime in that region and blue during the night. 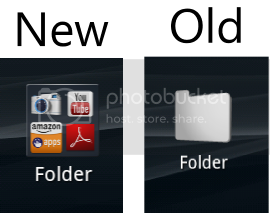 The folder and widget icons have a slightly different design. 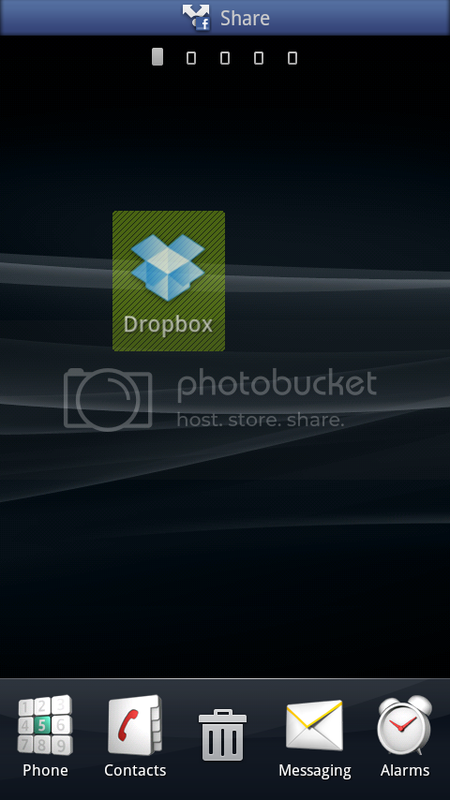 Also, the new folder icon is more useful as you can see what is included in that folder (up to four apps). Previously the folder was blank and you had to tap into it to see what apps were inside. 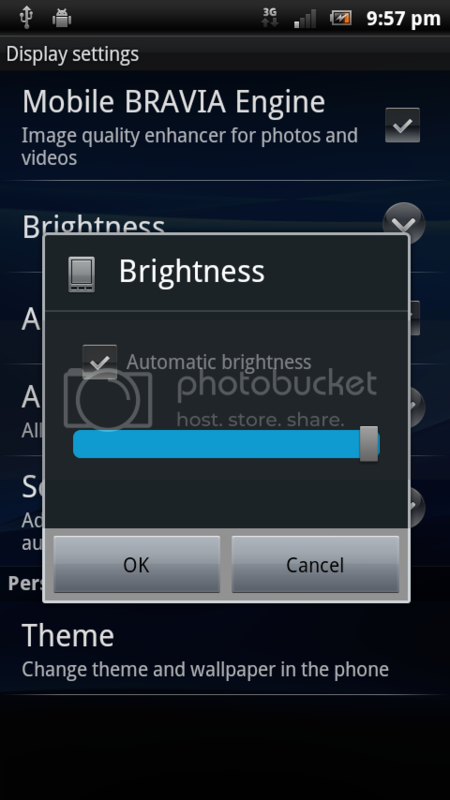 Sony Ericsson has bowed down to complaints and included an option to disable the auto brightness. 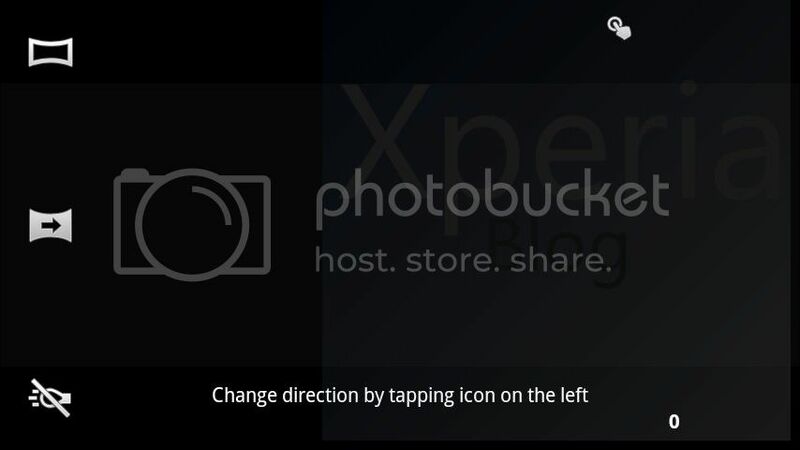 This has not appeared on any other Xperia handset, which is a shame as it used to be included in the Xperia X10 when it launched on Android 1.6, but hasn’t been seen since. 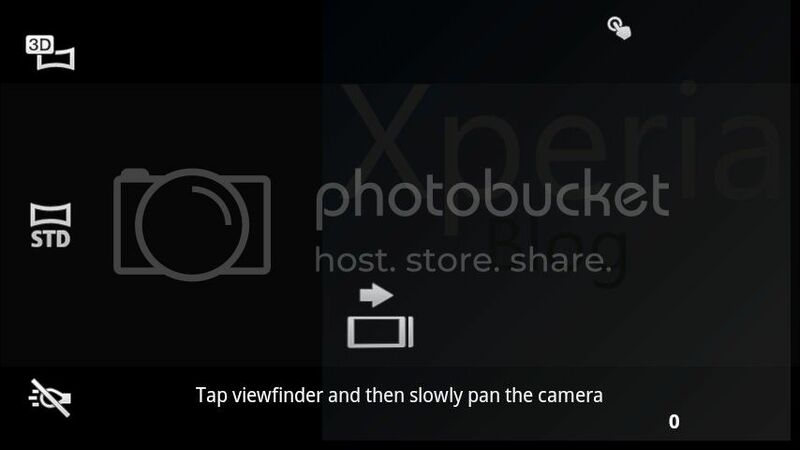 Xperia PLAY owners now get 720p HD video recording. See this post for a short video sample. The much loved CRT animation when locking/unlocking the display is now gone. What you get instead is a slow fade from bottom-up and top-down that is nowhere near as cool. We want our CRT animation back! 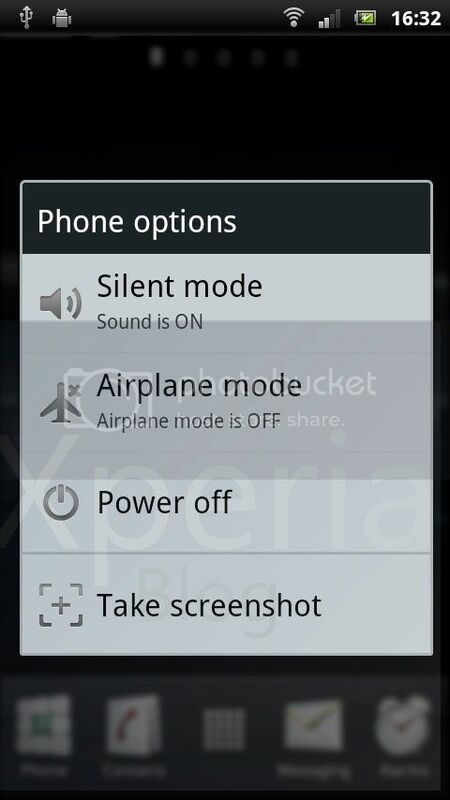 The Xperia ray has a new app called the Power save mode. If you want to know more, click here for our review that covered the app in more detail. 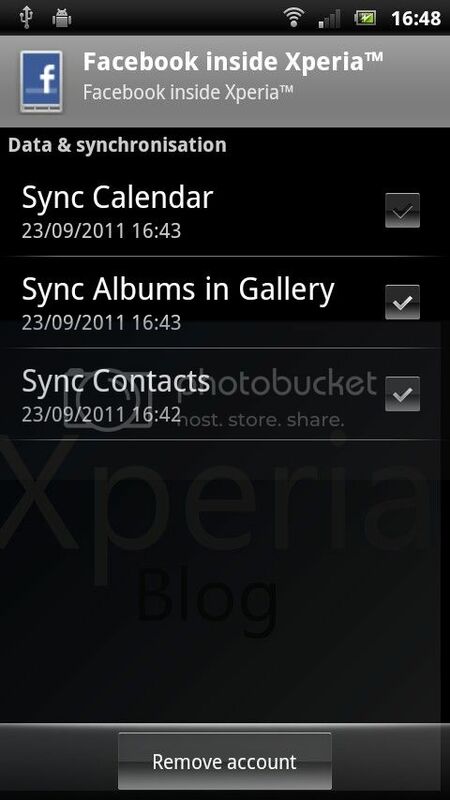 We were hoping that this new app would make its way to other Xperia handsets, but it’s not happened in this update. Hopefully, it will appear in a future software update.